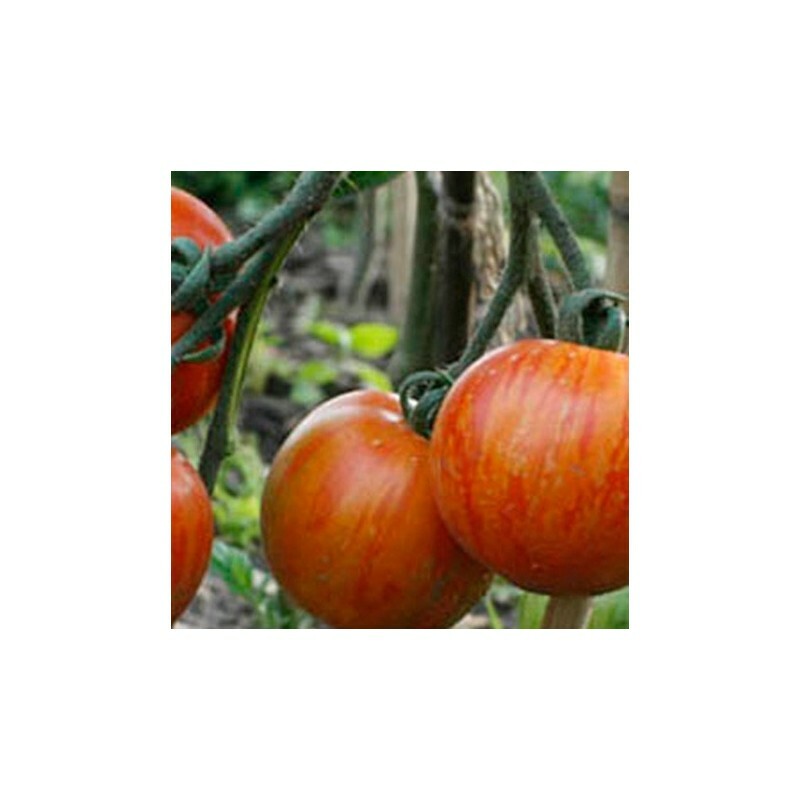 Tigerella has red skin with orange stripes when ripe. A slightly unusual looking vegetable, grows well outside in the UK and is easy to grow from seeds. Suitable for greenhouse and outdoor production. A heavy cropper and about 2 weeks earlier than moneymaker. Completely greenback free, tangy fruits. A perfectly round 'supermarket sized' tomato. Our second most popular tomato after the black cherry tomato seeds. Growing cordon tomatoes, also referred to as indeterminate or vine tomatoes, starts with understanding the differences in types of tomato plants. Cordon tomato plants require more upkeep than others, however they are worth it for their depth and uniqueness of flavor, their diversity, their quality and their uniqueness. The growth rate of the tomato plant is what differentiates a bush tomato from a cordon tomato. Bush tomato plants stop growing at a specific height. Also, they mature quicker, going from flower to fruit faster than cordon plants. Bush tomatoes tend to be smaller and are great for small spaces or container gardening. They work well with tomato cages or being staked as they are easier to control. Cordon tomato plants don't have a specific height and many will grow wild and tall, if allowed. Their arms grow out horizontally and vertically. If they are not trimmed back, they will turn into a tomato vine jungle and it will be difficult to harvest the ripe tomatoes. 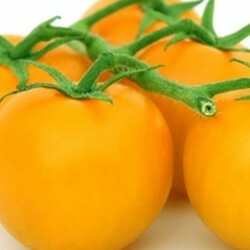 Heirlooms and other tomato varieties that have been around for generations are cordon plants. 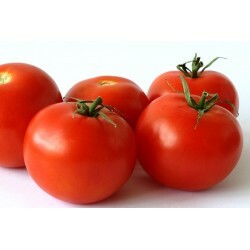 Cordon tomato plants produce exceptional, flavorful fruits. However, since the plant is expending a lot of energy into the vines, instead of the fruit, they often take longer to mature. One of the most common problems new cordon tomato growers encounter is not allocating enough space for the plant to grow. When they are seeds, it is hard to imagine just how large and spread out they can get. They need lots of space, horizontally and vertically. 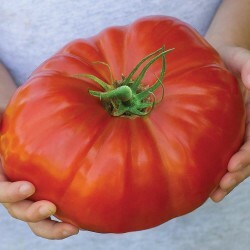 Cordon tomato types can easily grow 6-8 feet tall and spread out just as wide. Without proper spacing, pruning, and training of the shoots, adjacent plants will intertwine and create an almost impenetrable wall of green vines. Plant cordon tomato seeds 1/2” deep in groups of 4-6 seeds. Space plants 2 feet apart in rows that are 5 feet apart. When the plants have grown to three leaves, thin out to 1-2 seedlings per group. 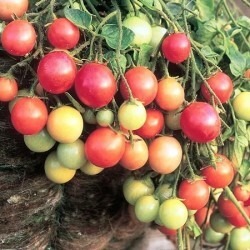 Cordon tomatoes must have a support system in place to keep the plants from tipping over and growing along the ground. Their vines get extremely heavy, especially as the weight of the ripening tomatoes increases. Without support, the fruit will touch the ground and most likely rot or not grow properly. Also, because of the weight, the vines are liable to crack or snap midsection or the stem may split right in half as it struggles to hold itself up. Supported plants will be healthier and have a higher fruit yield. Plants will also be easier to harvest when they are supported. Some support systems to consider are a trellis system, wire tomato cages or wooden stakes. A trellis system or stakes are generally best for cordon plants. Wire cages are workable if they are at least 6 ft tall and very sturdy. The common ones you find at the garden centre generally are too flimsy. If you decide to use stakes, they should be at least 8ft tall. They need to be driven at least a foot into the soil, about 3-4 inches from the plant, to provide adequate support and so they don't get blown or tipped over in a storm. As the tomatoes grow, attach soft string or strips of cloth in a figure 8 shape, from tomato to stake. The stake will be in one loop of the 8 and the tomato stem will be in the other loop. This will need to be repeated several times, as the plants grow taller. The idea is to train the leaf stems to grow upwards instead of outwards and keep all vines off the ground. When your plant starts growing, you will need to remove competing stems and sucker shoots, which grow between a leaf stem and main stem. As the plant grows, several main branches will establish themselves, and the remainder should be pruned. This prevents the plant from competing with itself for resources and allows more energy to be allocated to the tomato fruit itself. Suckers, or laterals, grow out the side of the main stem. These need to be gently removed by pinching them off with your fingers, preferably before they reach 3” in length. It is especially important to remove the laterals growing at the base of the plant, below the established leaf stem. Unchecked, these can go completely out of control and your tomato plant will be growing up, down, and all around. Tomatoes need to be watered frequently and on a regular schedule. They need about 1-2 inches of watering in a week, preferably in the morning. Evening watering can cause the roots to stay wet longer and make the plant more susceptible to developing disease. The plants need to watered at the root, not the leaves. When the leaves get wet and stay wet, that can also encourage diseases. Tomatoes are best picked as they ripen. They should be firm and fully colored for the best flavor and quality. Ripe tomatoes can be stored for 1-2 weeks if kept at 50-55 degrees F. When the season ends, pick all the fruit, ripe and green, setting out unripe fruit to ripen.